I was driving down Sleepy Hollow in Northern Kentucky the other day just before dusk – the fall foliage was unbelievable. The colors this year are so vibrant and bright they look like they have been perfectly photoshop’d! Make sure to take some time this weekend to admire the beauty – it won’t be around much longer. First up on our parade o’ fun for the weekend is Baby Loves Disco – it’s been in Cincinnati a few times before and this Sunday it is rockin’ those toddlers out at Florence Mall. Find all the details on Florence Mall’s website. 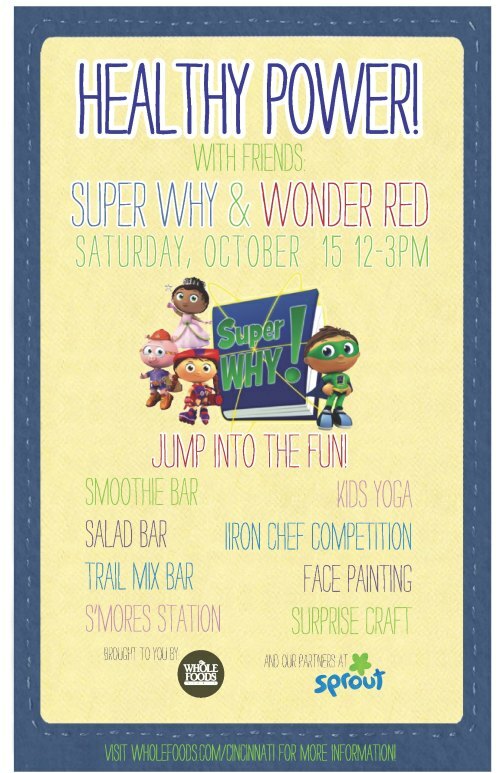 On the top of our family’s list this weekend is making sure we don’t miss Super Why at Whole Foods in Rookwood on Saturday. 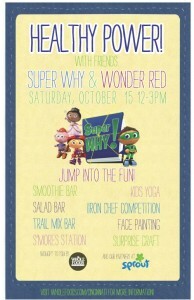 The gang at Whole Foods has a blast of an afternoon planned for their guests of honor – Super Why and Wonder Red. Visit my post from this week for all the details. As I posted earlier this week – The Wizard of Oz opens tonight with performances all weekend long. The Children’s Theatre of Cincinnati is one of my favorite things and they NEVER disappointed. Visit their site for more information on performance times and to reserve your tickets. Playhouse in the Park’s Playhouse off the Hill program has three performances of What’s Buggin’ Greg this weekend: Friday at 7pm at the Wyoming Fine Arts Center; Saturday at 3pm in Silverton Paideia and 3pm Sunday at the Miami VOA – Kristin posted about this particular show, so check it out! The Taft Museum is throwing a party to celebrate Third Sunday Funday – Sunday 1pm-4pm. This free program will introduce kids all things Italian – and not just spaghetti! During the event, the Frisch Marionette Company will have performances at 2pm and 3pm. What fun! The 2nd Annual Fall Harvest celebration is happening at Marvin’s Organic Gardens on Saturday 12pm-5pm. Music, entertainment, food, a little learning about being Green – a ton of free fun for the whole family! It’s Fire Prevention week and to spread awareness, the Cincinnati Fire Department is throwing open their doors. On Saturday (1pm-5pm) visit one of the 26 CFD houses and meet firefighters (a treat for everyone, young and old…wink wink), tour the station, learn about fire safety. They’ll have cookies and refreshments. 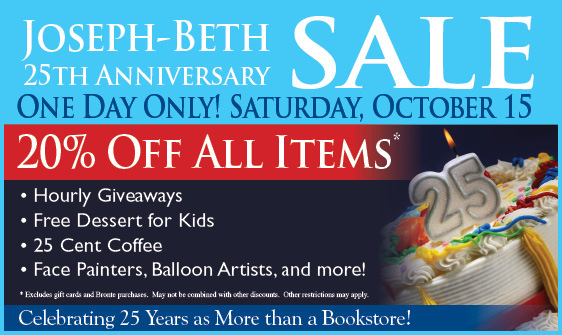 Joseph Beth is having a 25th Anniversary Celebration on Saturday with giveaways, free desserts for kids, face painting, balloon artists and more. 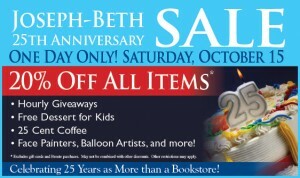 Don’t forget about the 20% off sale too! Christmas is right around the corner and a great book makes the perfect gift! Shannan visited Happen Inc recently and couldn’t stop talking about how awesome they are! On Saturday at Fergus Park join them for Howl Fest Dog Walk – don’t forget Fido’s costume! The walk begins at 3pm and there will be fun activities afterwards. 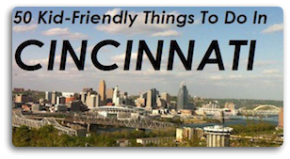 Cincinnati Walks for Kids to benefit Children’s Hospital is Saturday 10am at Coney Island. Join the fun for this great cause. Visit their information site for more details.